We offer bottle labeling services for small runs at Label Productions! 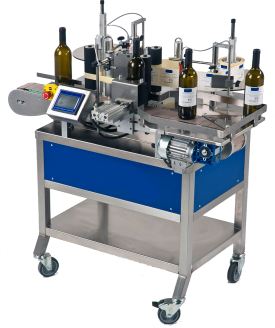 Our equipment is available for private labels, wedding labels, wine, olive oil, etc. For technical specifications and/or pricing information please contact Susan at susan@labelproductions.com. for updates, giveaways and more!